The Little Thompson River Master Plan is now complete. See the “Documents” tab to read the complete master plan. 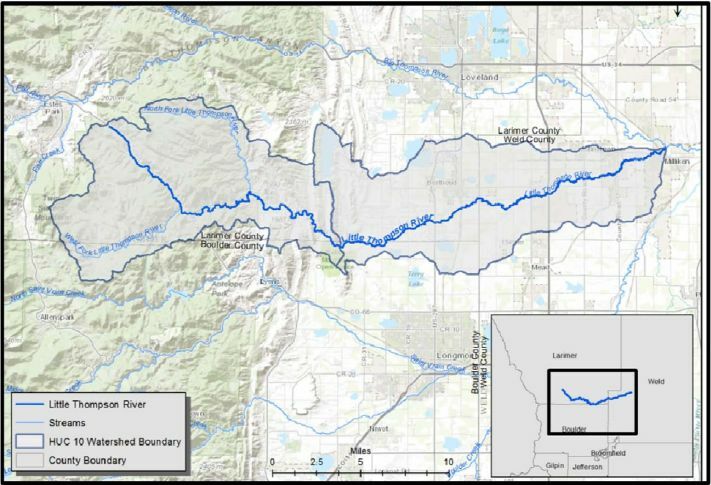 The Little Thompson Watershed Coalition (LTWC) is operating the Watershed Coalition for the Little Thompson River. LTWC will be sharing information about watershed recovery projects and other activities, identifying funding opportunities, and is directly implementing projects of interest to landowners and county residents.